Roof condition assessment, technical specification development, bidding, contractor, and construction project management. 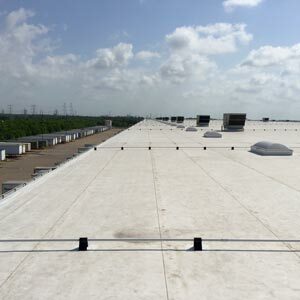 Roof soundness is a significant portion of your capital investment. RS&M Consultants roof condition assessments ensure your capital spend is a profitable investment. Our roof project management delivers you roof repairs with transferrable warranties. Our services bring stability to your real estate portfolio assets. Focused on preserving your assets. Immediate attention to acute needs. 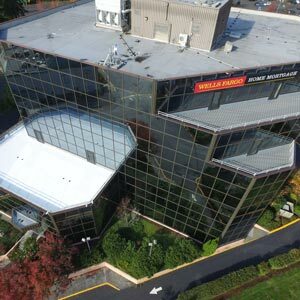 Having managed over 450 million square feet of roofing assets means that RS&M Consultants has the experience to help you deliver a positive outcome for your real estate asset. Whether you are a long or short term property owner, the expertise of RS&M Consultants ensures your roof structures maintain maximum integrity and performance for your investment. 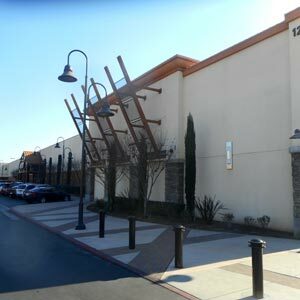 Our professional construction management team actively manages your complex roofing construction project. We find the right contractors, maintain tight timelines, and adhere to your budget. We manage everything from specifications generation, bid solicitation, and quality control inspections, to the final project closeout. 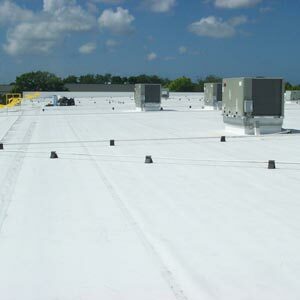 RS&M Consultants provides expertise for all roof systems available. Here is a small sample of our capabilities. Roll-over images for project details. 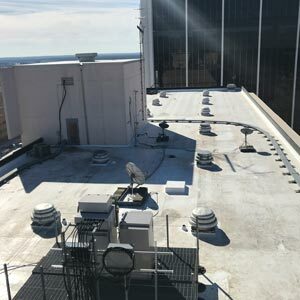 Details: Tear off and replacement of the existing roof assembly down to the structural concrete deck, the installation of an R-20 Polyiso insulation board and a fully adhered 60 mil TPO membrane. Details: installation of a 60 mil mechanically attached fleece back TPO or PVC membrane over the existing BUR assembly into and through the existing steel decking. New membrane flashings, metal flashings and new gutter and downspouts. Details: 17 individual buildings. Installation of a recover board and a 60 mil mechanically attached TPO membrane over the existing BUR assembly into and through existing plywood decking. Sloped metal roof sections which required selective repairs. Details: Tear off and replacement of existing roof assembly from eleven roof sections located at different levels. 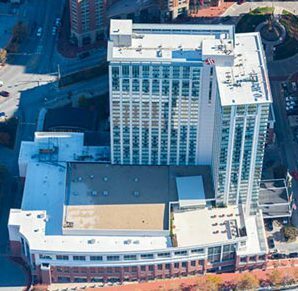 Details: Twenty-story hotel with multi-level roof sections. Tear off and replacement of the existing roof assembly on main building tower, the lower garage roofs sections and the small Pool building. Details: 775,000 square foot roof. Installation of a ¼” Secure-Rock/DensDeck recovery board and a 60 mil mechanically attached TPO membrane over the existing PVC roof assembly.